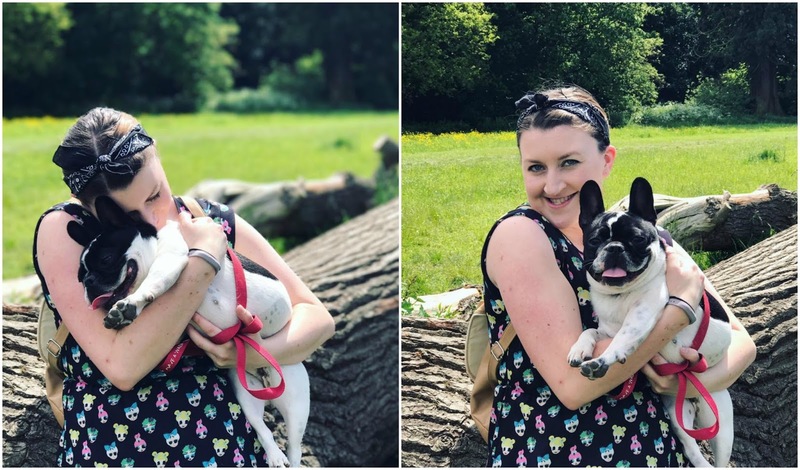 The well know brand Marks and Spencer are encouraging Brits to make the most of every day moments and to really grab life by the horns all in the name of Make it Matter Day on the 1st June. If you follow me on Instagram then you may have seen that I have been sharing some of the ways that I make time for the things in life that really matter. I have been challenging myself to break out of autopilot and make the most of every day. M&S are working on a project that focuses on what really matters in life, making time for what is important and empowering yourself and the community. This campaign is called #SpendItWell and as part of it M&S have found that Brits don’t make the most of every day life. Most lunch breaks are spent in the office for me with my packed lunch at my desk. Earlier this week I decided to break out of autopilot and go for a nice walk in the fresh air. 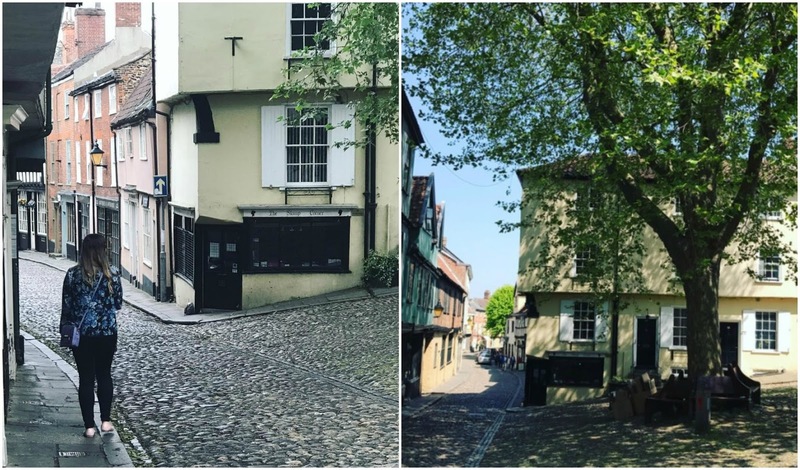 I took a visit to is Elm Hill which is a well-known area in Norwich. Many of the buildings down Elm Hill date back to the Tudor period and it has even been used for film locations, most recently Stardust. It is said to be haunted, although I have walked down here many times at night and not experienced anything strange.. yet! The Briton’s Arms is a 15th Century building with cellars dating to the 13th century. This was one of the only buildings to escape the fire of 1507 which destroyed many houses. It is now a coffee house and restaurant and one of the only timber-framed medieval buildings left in Norwich. I loved taking a walk and finding out about the history of my beautiful city. The best part is, I work about 10 minutes away from this lovely historic street and by heading outside for a change meant that I could really appreciate the walk around town. The fresh air also cleared my head and when I returned to my desk at work, I was raring to go again which in turn helped my performance. M&S found that 96% of us feel like we spend life on autopilot, the result being that we say ‘yes’ four times a day when we really want to say ‘no’. I have now realised how simple it is to break free from that. Today I took the time to take my mums dog for a long walk. It was so nice to get out of the house once again and gave my mum some peace and quiet at home. Both me and Macy appreciated the fresh air in the end! Already by just doing these small activities I feel more content and happy in life. It doesn’t have to be big things, the small things also play a part in spending life well. 81% of us think that it’s the small things that make a big difference but we don’t make enough time for these things. Simply lighting a candle can be enough, or treating yourself to your favourite cup of coffee. How about having a delicious home cooked meal with friends and family. Make it Matter Day on 1st June is a national day where M&S want to show what matters to them. You can get involved too by sharing the things that matter to you. Share the ways you break out of autopilot using the hashtag #SpendItWell. You only get one life. For more info, head over to the M&S Spend it Well page.